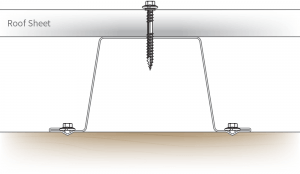 Queensland Sheet Metal Top Span Battens are commonly used in industrial applications as they have a larger base metal thickness than standard Roofing Battens. These are made from hi-tensile Australian steel and they are very strong. 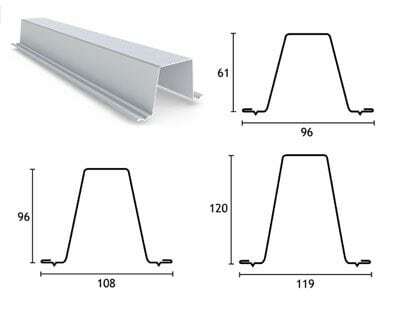 Queensland Sheet Metal Top Span Battens come in a variety of sizes, can be made to custom specifications and are manufactured Australian steel. 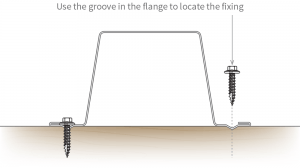 Fasten the batten to every truss or rafter with a 12 x 40mm timber fixing screw (minimum fixing size) through each flange. 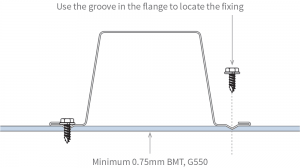 Fasten the batten to every truss or rafter with a M5.5 x 40mm batten zip (minimum fixing size) through each flange. 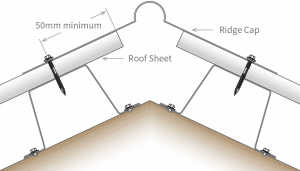 Fasten the roof sheets to the batten as per the roofing specifications. Fix through the ridge capping into the roof batten using the appropriate screws. To minimise cutting, lay the battens in one direction starting from one end of the roof. The overlap must be supported over a truss or rafter. The minimum overlap is 100mm. 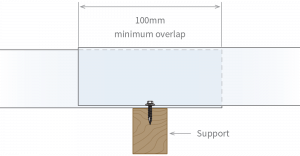 Note: If additional fall protection is required on steel sheet roofs, Ceiling Battens may be fixed intermittently between Roofing Battens giving a batten spacing no greater than 600mm. Roofing Battens are suitable for non-cyclonic conditions up to and including W41 (N3).